Surfaced mounted trailer door hold back plunger holds trailer door securely in open position. The plunger fits firmly and quietly into the socket (sold separately). Mounting holes for 1/4" screws are 2" apart. Plunger shaft is 2-3/4" long. 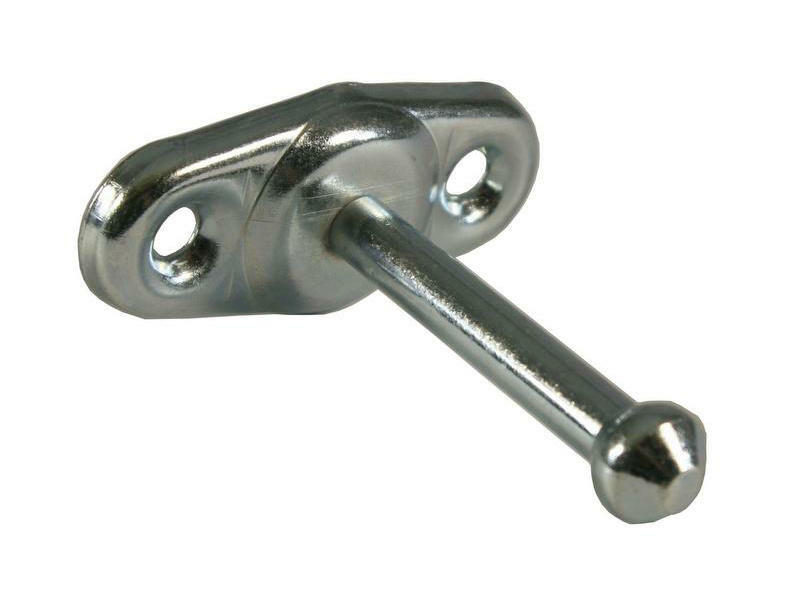 Zinc plated to resist corrosion.